Heat pumps for the manufacturded home, mobile home and modular home. 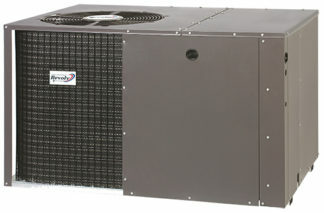 Coleman Comforteer R-410A Series packaged Heat Pump units are designed for outdoor installation that saves indoor living space. Designed to deliver maximum cooling while using minimum amounts of energy. The compact design allows easy installation and reduces shipping damage. Can be forked lifted from four sides, full perimeter base rails, these units provide easy access for a forktruck while providing a raised base to prevent moisture build up. Two footprints to optimize performance and keep these units compact and easy to install. 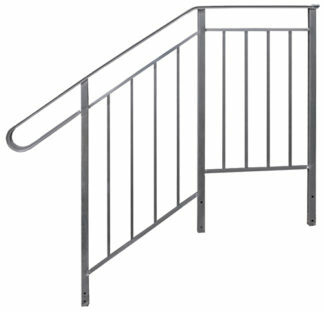 Constructed of powder coated, painted galvanized steel to protect against corrosion and resists fading. Internally protected compressor to protect against high pressure and high temperature. Factory installed liquid line filter drier to keep the refrigerant system moisture free. Large condensing coil surface for extremely efficient heat transfer to reduce the load on the compressor. Complete line of field installed accessories including electric resistance strip heaters, hard start kits, thermostats, and more.